as well as Minase Inori (Eddelrittuo) and Hayami Shō (Cruhteo). —What did you think of the scene in episode 7 where Inaho and Slaine fought together? Hanae: It was really cool — I almost wanted to cry. That moment when (Inaho’s mech) jumped onto the sky carrier gave me goosebumps! And I really like how it played out from there. Even though it was just through the comms system, it was also the first time they spoke to each other, huh? Ono: After 7 episodes, they finally spoke to each other. 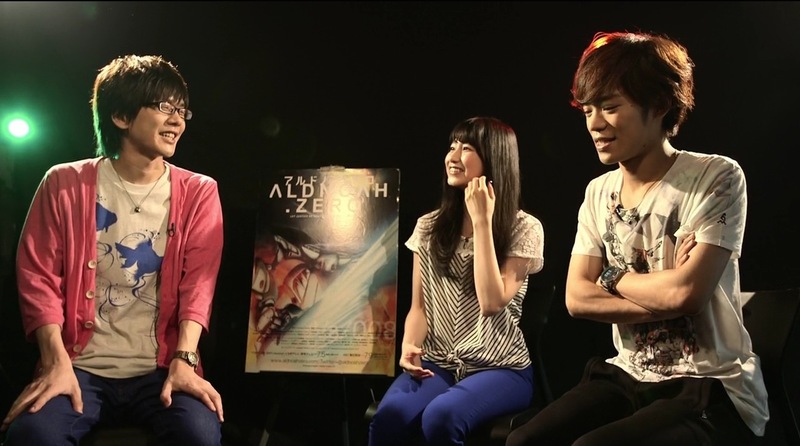 Hanae: I remember it being a really exciting episode. Hanae: But at that time, Slaine was the one who shot first. 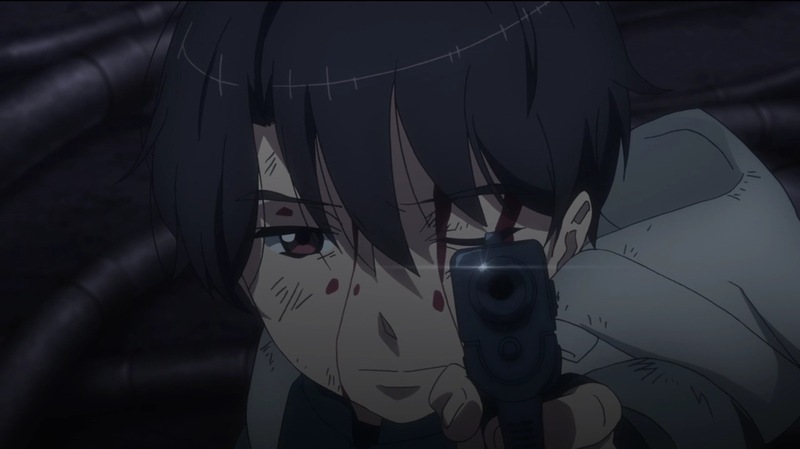 Hanae: He turned his guns on Inaho first, and then he was the first to shoot. So it wasn’t Inaho’s fault! Amamiya: At that point, I was like “how awful of Inaho!” But was it just a misunderstanding? 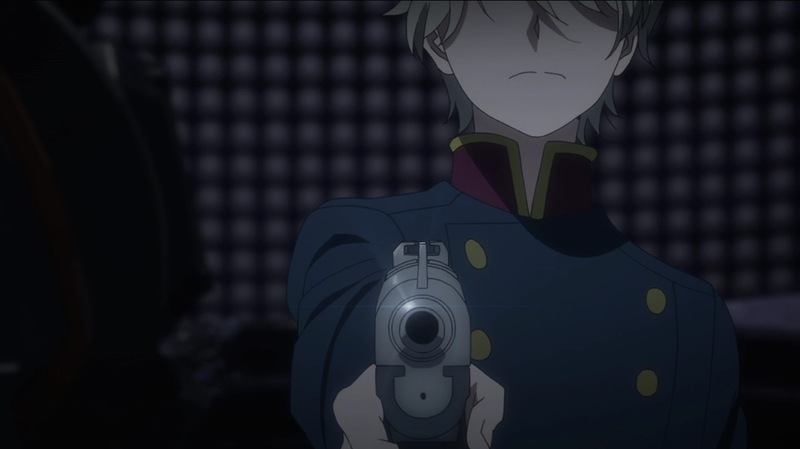 Amamiya: Perhaps Slaine should fix his habit of turning his gun on people? Ono: I’ll be more careful from now on (laughs). Hayami: …well, I did think that perhaps, he didn’t have to go quite that far… but when you think about it, if he didn’t, then you wouldn’t know how determined he was. Minase: Ah, of course, Cruhteo was also very loyal to the princess. So like Slaine, who just wouldn’t reveal anything no matter how much it hurt, Cruhteo did everything he could to make him spit it out because he was thinking only of the princess. Amamiya: That does make sense. So, well…how did you find that torture scene? Hayami: Well, even if you ask me about that, it’s not like I really did anything. I’d prefer to be the person yelling out in pain. Amamiya: Eh…? (As Hayami starts laughing) Ah…so you’d prefer to be on that side! Hayami: I mean, even if I go all out, it’s not like my breathing becomes really coarse or anything. 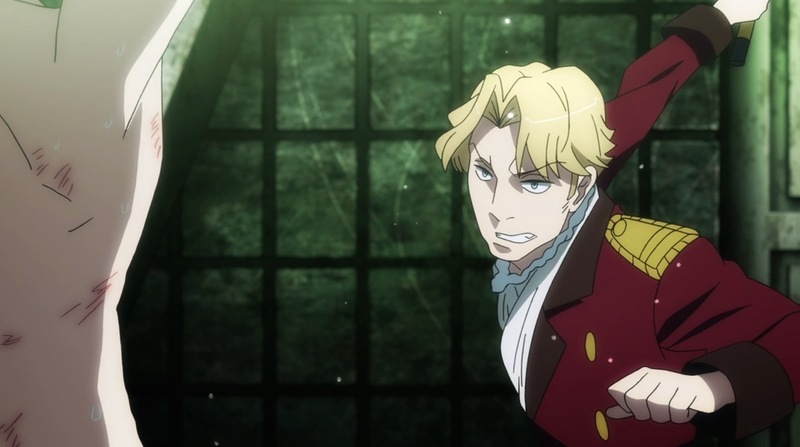 But those gasps and all, like, I really think Slaine’s position was the better one to be in. Minase: I’ve never heard anything talk about it that way before! Hayami: Well, from your perspective, which would you prefer? Amamiya and Minase: Ehhhh? Er…I’ve never thought about it before! Hayami: You don’t have to answer if you don’t want to. Just something to think about as you grow in your own careers. Amamiya: Ehhh? Well, how about you, Hayami-san? Hayami: Well, I’d probably prefer being the one on the receiving end. Amamiya: You know, I feel like I’d wanted to hear this from you. Minase: Agreed — like, you sound really remorseful! Hayami: Well, being the one giving pain leaves a scar in your heart, right? Minase: Ah…that shows just how kind you really are. Amamiya: I see I see. Minase: And for you, Onoreine-san — ah, I mean, ToroKen-san, the Vers Knight that left the biggest impression on you has to be Cruhteo Show-san, non? Amamiya: That’s Hayami Shō-san’s Vers-name. Hanae: Yeah, like, you really took a beating from him too. Hanae: I was really wondering how it would turn out. Ono: It’s a real talking point. How much he was beaten. Furthermore, because Slaine has always been on the Vers side, I don’t really say that much, right? And when I finally thought “oh, I have lines!”, it turned out to be Slaine being hit all over the place, so just all kinds of gasping. Hanae: And that was the script booklet cover too, this time, huh? Amamiya: So, how was it? Amamiya: I mean, your thoughts on being hit and all? Ono: …my thoughts? On being hit? Amamiya and Minase: Like, your mental state? Minase: So you prefer being the one dishing out pain? Hanae: Well, of course! I’m actually also on the receiving end all the time (in Tokyo Ghoul? -karice), so I’m really scared for Slaine! Ono: Well…that’s a possibility too. Amamiya: Ah, as one might expect. Minase: Then, it wouldn’t be a problem even if the two of you switched positions, huh? Asano: Speaking of which, how far have the voice-over sessions gone? Amamiya: Well, we’ve recorded episode 12. Hanae: We’ve finished the first cour. Asano: So both of you don’t know what happens after that? Amamiya: No, we don’t know what happens after that. Hanae: Oh, but something crazy happens in episode 12! Amamiya: Yes! it’s like ___ happens. Washizaki: From your facial expression…no, not quite getting it. Could you put it into words? Amamiya: I couldn’t believe (Slaine) even shot Inaho. I mean, I can understand that he shot Saazbaum in anger. Minase: Agreed, I can totally understand his anger. But huh? “Don’t touch the princess”?? Amamiya: Yes, and this final episode is one where everyone’s impression of Slaine really changes, huh? Minase: Ah! He was that worried! Minase: What did he think would happen? Minase: The gloating of the victor? Minase: Woah…he’s totally gloating about it! Minase: We never know what’s going to happen! But wow, that’s the kind of thing that goes on behind the scenes at the dubbing session! Minase: Waaah… don’t cry, Toroken-san. Ono (Animedia): I understand how Slaine must have been feeling when he turned his gun on Inaho, who was trying to approach Asseylum after Saazbaum shot her. Hanae (Newtype): I think it’s kind of problematic that Slaine shot Inaho without even really talking to him, even though the princess had called out to him in that way, like “Inaho-san!” I find it difficult to understand why he did that.